First observed in 1982, the International Day of Peace was declared by the UN General Assembly in a resolution sponsored by Costa Rica and the United Kingdom, devoted to strengthening the ideals of peace and pacifism. In 1999, British filmmaker Jeremy Gilley founded Peace One Day, a non-profit organization that became unanimously adopted by the UN in 2001. It established the very first annual day of global ceasefire and non-violence on September 21, and since then it had inspired a reported 70% reduction in violent incidents in Afghanistan by 2008. Awareness of the day is just as important: by 2016, an estimated 940 million people across the world were aware of Peace Day! 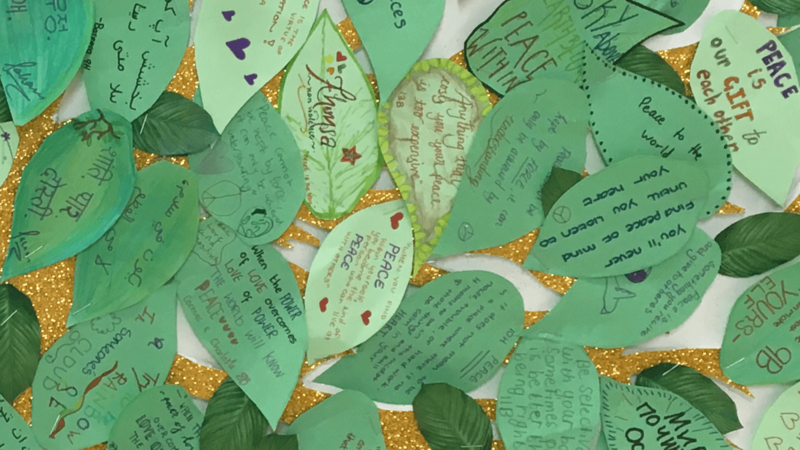 Here at St Chris, we are committed to raising and sustaining awareness of the cause with our annual Peace Day celebration, which we marked on Tuesday September 18 this year. In light of this year’s UN theme, “The Right to Peace – The Universal Declaration of Human Rights at 70”, we decided to underline this concept through our own theme of ‘Freedom and Cohesion’. 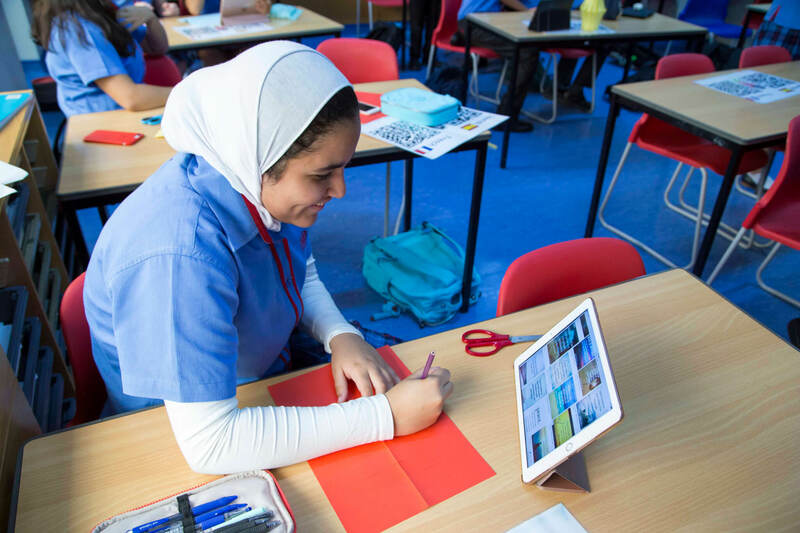 Led by Ms Al Hammoud, Head of Year 12, the Peace Day Organizing Committee (a group of Year 13 students – Lana, Afaf, Raul, Julia, Safeya, Palesa, Paloma and Naser) planned a programme of relevant activities and ways to spread awareness, both for the week leading up to the event and for the actual day itself. Assemblies were presented to each year group, outlining the aims of Peace Day and informing students of its importance. 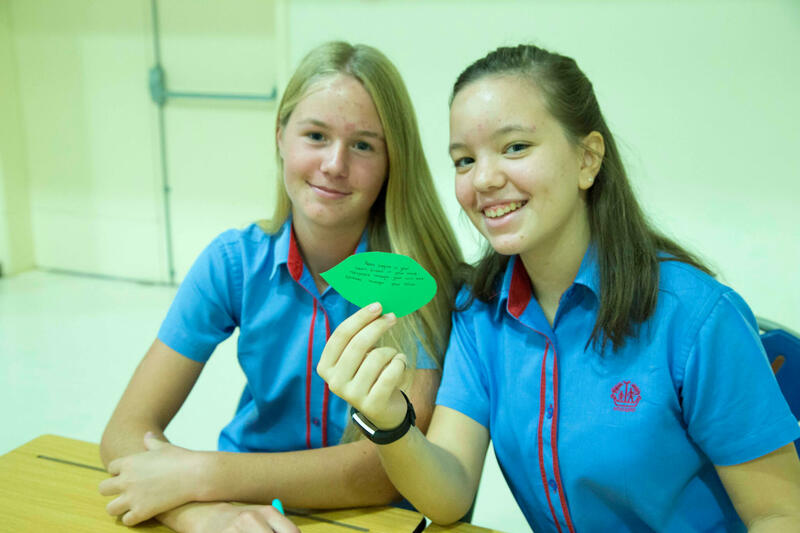 All Senior School students and staff were encouraged to wear white Peace Day ribbons to promote and spread awareness of the day. 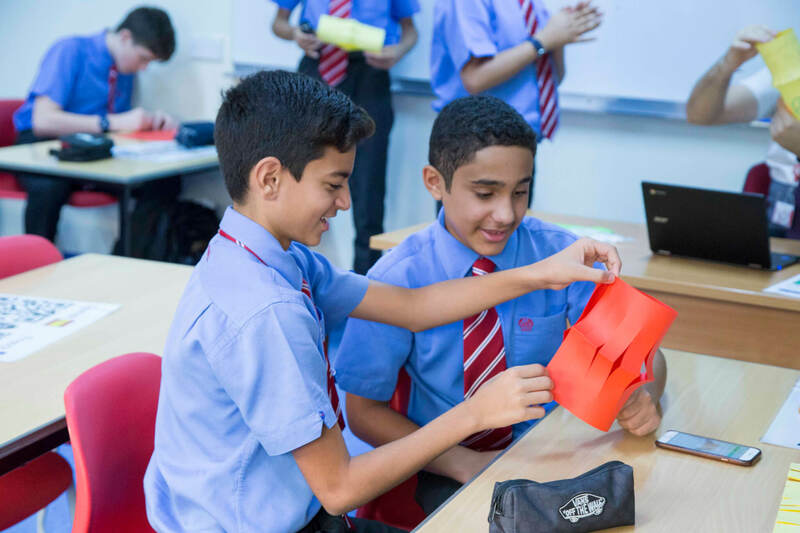 Additionally, winning poems from last year’s Peace Poem competition were read over the tannoy in the week leading up to Peace Day by the following students: Rohan Mukharjee, Rafael Little, Lulwa Al Kaabi, Deena Al-Dahwi. 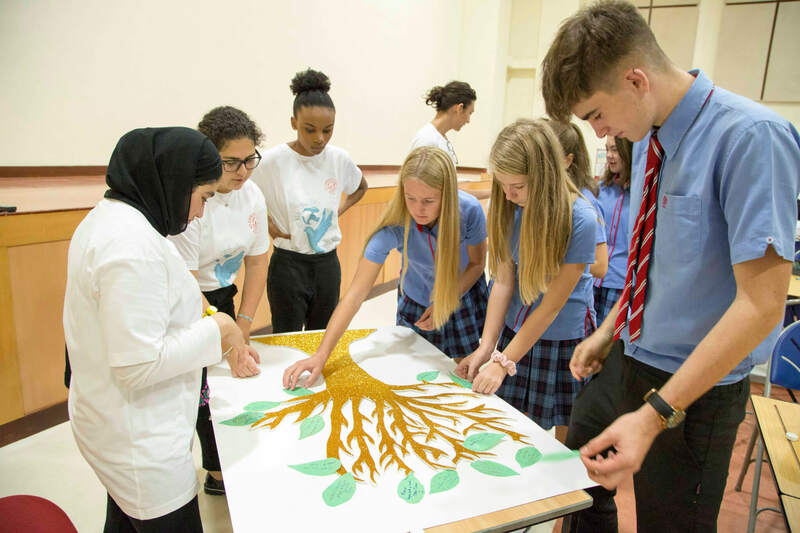 To maximize participation, a mural painting was also circulated around the school for students of all year groups to add their fingerprints to as a symbol of solidarity and commitment to the cause of peace. 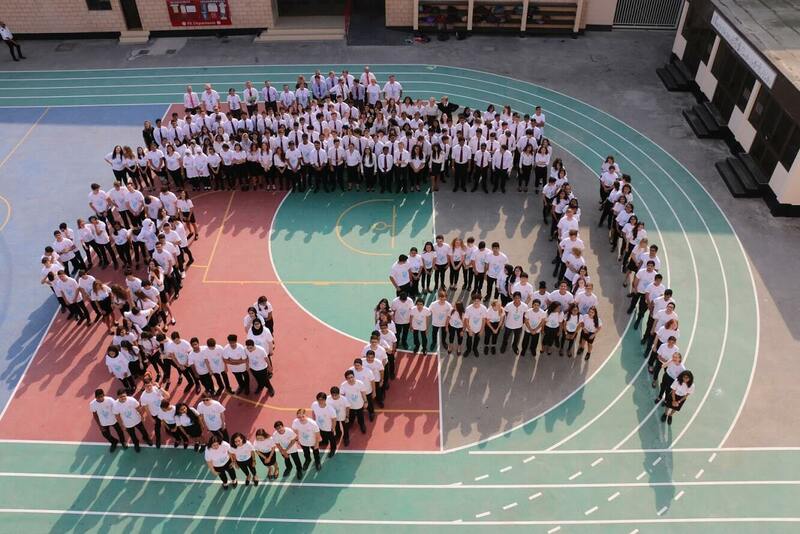 On the day, Sixth Form students were invited to wear Peace Day T-shirts, with the logo designed by Julia Hashem in Year 13, and grouped together for the aerial photo, this year spelling out ‘الحرية’ (translating to ‘freedom’ from Arabic). 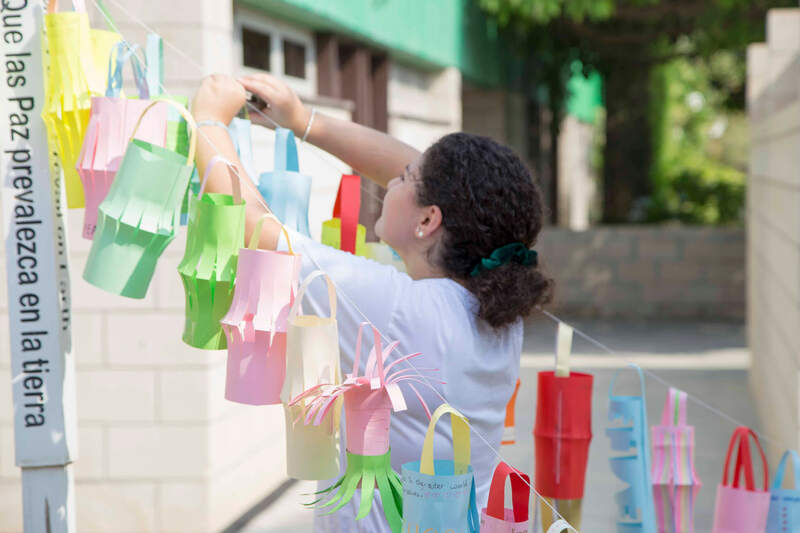 Also in the morning, each form group designed peace lanterns, and two were selected from each class to be displayed around the Peace Day Pole. 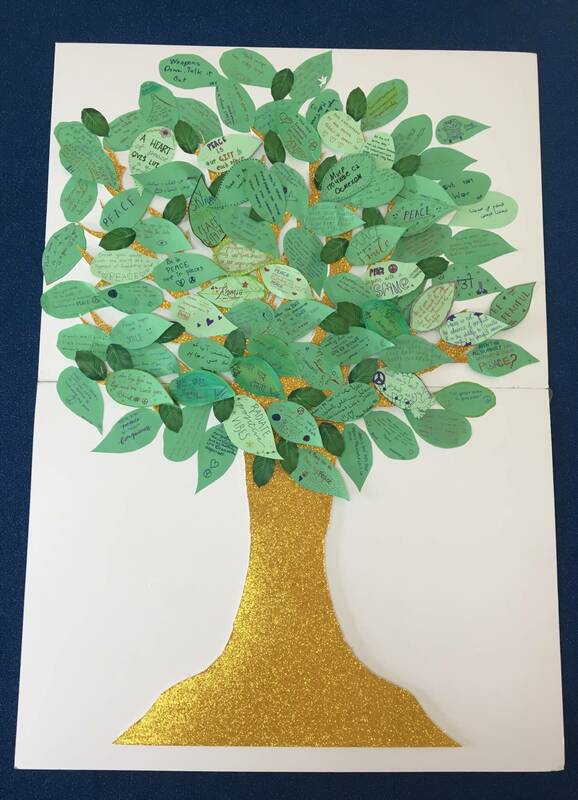 Two students from each form were invited to the School Hall to cut out a leaf and write a peaceful message or quote, in any language, which they then stuck to our Peace Tree. 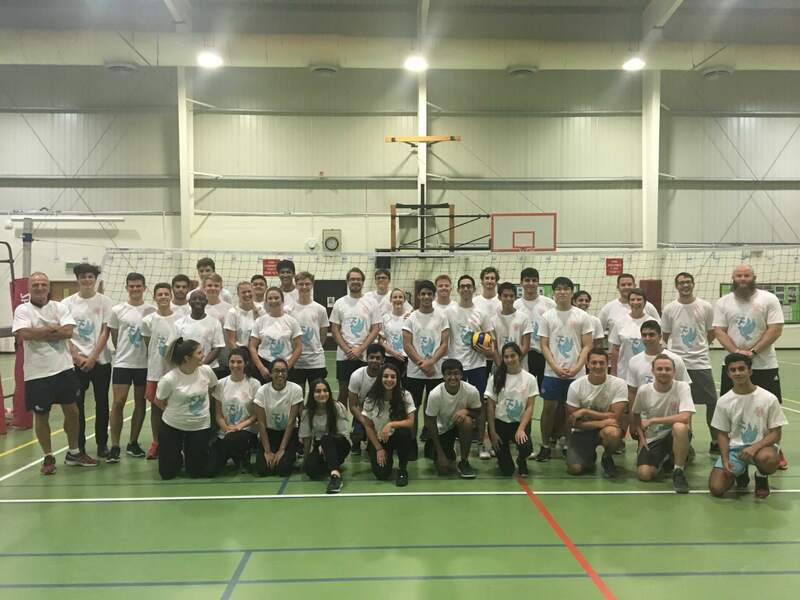 Later, during break-time, a Sixth Form-vs-staff volleyball match took place, uniting students from all Year Groups who joined to cheer on their friends and teachers. In the afternoon, the day was concluded on a peaceful note by the reading of the winning poem by Lilo Al-Dahwi. Peace only abandons what is not kind. Its light will suddenly make everyone know. Weaponry will all be regarded as rotten. And all aggression replaced solely by good deeds. Let our dream of everlasting peace come true! The advance to peace begins with us- let’s make it happen!